Indian women like Ozre do the most unpaid care and domestic work of any country globally, except Kazakhstan--a country with 94% lower gross domestic product (GDP) than India ($163 billion vs. India’s $2.6 trillion). It reveals that India is not investing enough in social care and “leaving its female population to carry the burden”, said Diya Dutta, Research Manager at Oxfam India, who has authored a chapter on unpaid care and domestic work in a forthcoming Oxfam report titled ‘Mind The Gap – The State of Employment in India’. The report is slated to be released on March 28, 2019. This is the first in a five-part series on how structural inequalities, especially gender disparities, affect lives and society, based on our reporting and Oxfam India’s second India Inequality Report, ‘Mind The Gap – The State of Employment in India’. Women in India currently spend upto 352 minutes per day on domestic work, 577% more than men (52 minutes) and at least 40% more than women in South Africa and China (the other two BRICS countries for which data are available), according to Organisation for Economic Co-operation and Development (OECD) data. 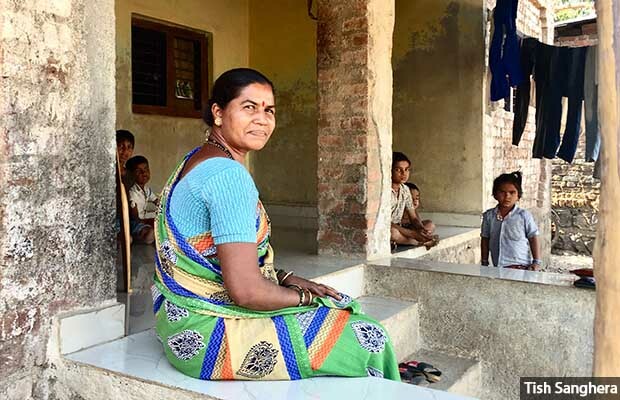 Up at 5 am, a couple of hours before her husband and three children surface, Ozre’s daily routine features the repeated drudgery that many women in rural India have to contend with due to the lack of basic infrastructure. Indian women’s unpaid work plays a crucial role in sustaining economic activity, equivalent to 3.1% of GDP. However, much of the contribution goes unrecognised or is incorrectly measured, amounting to a “systemic transfer of hidden subsidies to the economy”, the report said. Time poverty fundamentally undermines women’s human rights since it undermines women’s agency and ability to make choices, as per the Oxfam report. The immense burden of work, therefore, prevents women from pursuing further education, employment opportunities, raising their skill-level and tending to their own wellbeing. Up to 64% of women said they have no choice taking up care work, since there is ‘no other member to carry out the domestic duties’, the 68th round of the NSSO survey found. 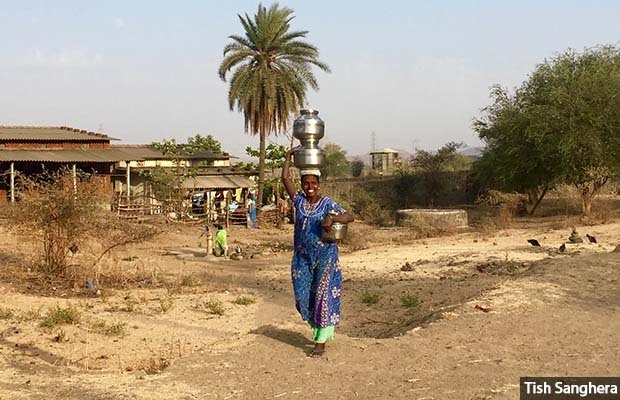 Despite a period of rapid economic growth following market liberalisation in the early 1990s, many women like Bhoir have not traded domestic work for new employment opportunities. Between 2003 and 2013, the number of women at work fell by almost 14 percentage points, from 34.8% to 27%. The proportion of women aged over 15 and in rural areas who spend the majority of their time in domestic duties has increased from 51% in 2004-05 to 60% in 2011-12, the year the last NSSO employment survey was released. The average family size in India is shrinking, the report states--in 2001, each family on average had 4.67 members, down to 4.45 in 2011. 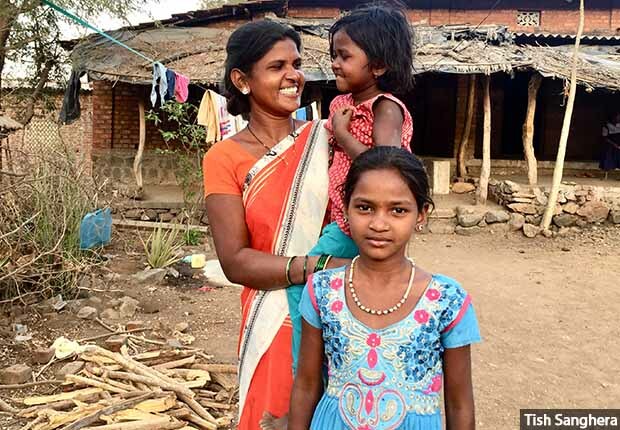 In rural India, the proportion of nuclear families, where each sibling sets up a household of their own has increased. In 2001, 83.9% of families were nuclear, which rose to 84.5% in 2011. No more than 49% of girls were enrolled in secondary education in 2005, compared to 74% in 2016. Boys’ secondary-school enrollment increased at a similar rate (24 percentage points) over the same period, but an inherent gender bias means their help with domestic duties is not expected. In households with access to the government’s National Rural Drinking Water Programme (NRDWP), women spent on average 22 minutes less per day on care work and 60 minutes per day more on paid work, the Oxfam report finds. The results for households that had begun using LPG gas cylinders for cooking under the Pradhan Mantri Ujjwala Yojana (PMUY) programme were similar--49 minutes less spent on care work and an hour more on paid work. For example, despite spending 90% of available funds, just 18% of the rural population was connected to piped water supply between 2012 and 2017, against a target of 35%. Poor execution of projects left them “incomplete, abandoned or non-operational”, a key failure of the NRDWP scheme, as per this 2018 report from the Comptroller and Auditor General, the government’s auditor. Expensive cylinder refill costs are affecting PMUY, a scheme that Ghosh believes was “potentially very effective”. Up to 40% of households in Chattisgarh had never refilled their cylinder, followed by 17% in Madhya Pradesh, citing costs, according to a 2018 study by MicroSave, a consulting firm. Policymakers have so far failed to address how households will overcome the affordability barrier, with refills priced anywhere between Rs 700 and Rs 800, a significant portion of a poor household's income. Prices can also fluctuate according to international fuel markets, meaning planning for this expenditure can be difficult. Up to 48% of women currently stop working within four months after returning from maternity leave, while up to 50% more men are working between the ages of 15-24 and 25-34, the child-rearing period, found a study by Intellecap, an investor in social enterprises. Greater attention paid to childcare and maternity leave policies could help restrict the effects of a ‘motherhood penalty’ which entails women dropping out of work, worrying about being absent from work for a long time and accepting less-satisfactory employment, as IndiaSpend reportedin August 2018. While private-sector provision for childcare is expected to grow at over 23% annually between 2017 and 2022, and the Maternity Benefit Act 2017 mandates employers with over 50 staff to provide crèches, options for the poorest in society remain limited. Read the article by Tish Sanghera for IndiaSpend here.